If you get sick or are injured on a weekend or holiday when your primary care provider is unavailable, where do you go? If you said the emergency room, you are not alone. U.S. emergency rooms see 129.8 million visitors every year. While many people go to the emergency room because they think it will save them time or money, the emergency room can actually have long wait times and is less affordable than many urgent-care- or walk-in clinics. If you live in North Carolina and are looking for an affordable walk-in clinic in Winston-Salem, NC, FastMed Urgent Care can see you any day of the week. At FastMed, our goal is to treat each patient within an hour, with no appointment necessary. We accept most major insurance plans, most credit cards, and personal checks. 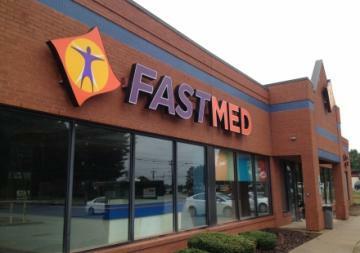 With FastMed in your neighborhood, you will never have to search for an affordable walk-in clinic in Winston-Salem again. Click here to read about our discount programs.